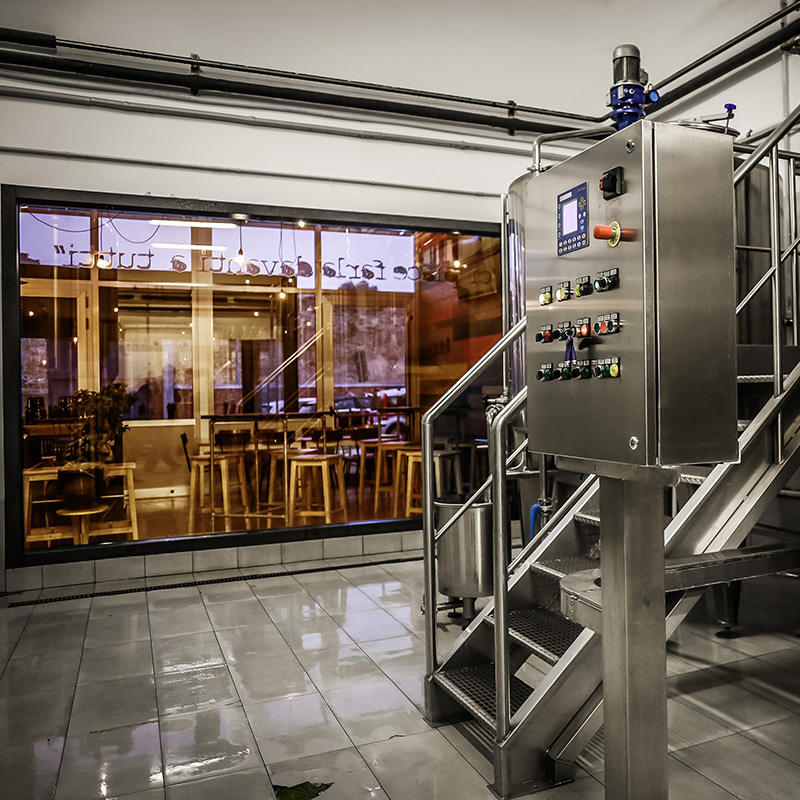 The Brewery was born in Pergola (Marche) in 2007 and with its 1 hectolitre plant, has been for years, one of the smallest micro brewery in Italy. The driving idea has always been the fact that we wanted to create something that we would be the first to enjoy. This idea has driven us for years, pushing us to improve our abilities to create unique recipes, to carefully select our raw materials in order to create a beer that was always well thought through and, most importantly, desirable to us. It didn’t matter if we were dealing with a completely new kind of beer or with a style that already existed which we would reinterpret freely. The most obvious example of this philosophy is Lola, born in 2008, one of the few beers in the world in which we use fresh sage. Pergola Brewery becomes Renton Brewery. In 2014 three friends, Andrea, Elia and Giannandrea decide to move and improve the brewery and to find a new home for Renton. The plant was then moved to Fano where an old mechanical factory, located right text to the extraordinary Roman walls of Fanum Fortunae, became the new Casa Renton. 10 beers, 10 original recipes which had taken 10 years to perfect. 10 different options studied to satisfy the needs of whomever wants to drink our Quality Craft Beer & many other recipes, always new, thanks to collaborations with other breweries to enrich our selection. With a distribution network that runs all over Italy and which extends to Belgium, UK, the Netherlands and Sweden, Renton is always looking for the next challenge & the next collaboration.